Online poker has boomed in popularity over the last decade spreading its appeal across the globe. The concept of playing real money poker on your desktop computer is ingrained in the minds of hundreds of thousands of players. While using your laptop computer with Wifi or airless card has increased the mobility of poker players, many players don’t realize the latest innovation to the game allows players to go even more mobile. With the advent and increased speed of 3G connections, poker players can now access and play poker on their mobile devices. Best Poker Site Client Based on your Location (brands are geo-targeted to make sure players from your country are allowed). #1 Bwin.com – Most mature mobile client for non-US players – highly recommended. #2 888poker.com – Excellent client for non-US players, but in Beta stages. Still works, and offers real money. #3 BetOnline.com – * Only site for US – Needs a workaround as there is no dedicated software client or official app released yet. Potential solutions would be to install a “remote desktop” control app. Note that the very narrowed selection for US players is due to most poker brands having left the market. Another solution would be to sign-up to BetOnline.com and wait for them to develop “instant-play” Java software, so you can play in your browser, eliminating all compatibility issues. Poker playing Android phone and tablet users are no longer tethered to their desktop computers. With advances in speed, software and connectivity, poker players can now play online poker on a train, at work, or just passing the time waiting on a friend so long as they have a signal. The increasing popularity of the Android system has accelerated development of apps to compete with the earlier advantage that iPhone users enjoyed. 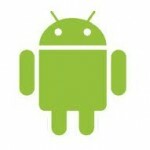 Now most software developers will provide support for Android devices. Take your Android and play poker wherever you receive a signal. If you’re looking for the best mobile phone brands to play real money poker, then you can start off with the Samsung devices (Galaxy S2, S, and Nexus S). The HTCs are also increasingly popular (especially the HT Desire HD, Desire S and Sensation models). In the LH portfolio of devices, we recommend the Optimus Black and Optimus 3D phones. Lastly Sonny Ericsson and Motorola have numerous viable alternatives, the strongest devices of each line-up being respectively: Xperia devices, and Atrix. Android Tablet users have many options including the Samsung Galaxy Tab 10.1 which is almost as powerful as the Ipad. The Motorala Xoom is a little cheaper but also a reliable platform to play online poker. Lastly the Dell Inspiron Duo is a hybrid between the tablet and net-book computer. Windows 7 Tablets such as the FePad are still somewhat rare but they should develop quickly. bwin was one of the first movers in the Android gaming space releasing its cutting edge product in July of 2011. It has now become the most popular poker app with over 15,000 players on their mobile poker client. It’s a testament to the solid software build and the marketing savvy of bwin. With its size and security, players can be assured of great stability and safety. Enter wap.bwin.com/androidpoker in your browser. For some, it may be easier to download the app onto your PC or Mac. 1. Visit Bwin.com and create a free account. 2. Enable non-Market apps from your Android device by going to Settings> Applications to enable “Unknown sources” if it is not already enabled. 4. Select Download Now and the Bwin Android app will start downloading. 6. You should now be able to launch the app and login using your account details from Step 1. Due to current individual country legislation, not everyone is allowed to access the software via the bwin app. You can see the list of countries supported on the Bwin Website. Those with access, can navigate your entire bwin poker account from your Android smartphone. Actual game play is restricted to Texas Hold’em real money cash games, but a quick table access function makes seating much easier. There are features like hand history and hand evaluation also available. If you enjoy non poker games like gaming in the casino or placing sports bets, bwin offers access to combine them all at wap.bwin.com. With the addon, you can deposit or request withdrawals, as well as place bets, follow your bets, and access your specific betting history all from your smart phone. Unibet is the first poker room on the Microgaming network to release an Android poker app. The new Android Poker app requires both Flash 10.1 or later and Adobe Air version 2.6.x (which can be downloaded for free from the Android Market). Any Android device that uses the following OS versions will run this poker app; version 2.2.x (Froyo), version 2.3.x (Gingerbread), version 3.1.x (Honeycomb). The Unibet poker app is not available yet from the Android market and must be downloaded from the Unibet website. Players must have an existing account or utilize traditional online website access to process deposit and withdrawal options. Players can play for fun or for real money. Select the buy-in level and join a table. Quick seating allows you to pre-select limit and stakes to match your interests. Betting and playing options are easy to use and clear to see. Players can play stakes up to €1-2. Cash game play is the only option, with MTT’s and SnG’s planning to be introduced soon. Multi-tabling is not an option currently. U.S. players are not accepted on this network. Switch Poker remains on the forefront of mobile poker software development having been the first company to launch a poker app for iPhone, interfaced with Bitcoin virtual currency, and now the first to allow players register, deposit and multi-table on Android devices. Terminal Poker has developed a unique real money mobile poker app for Android devices. For those familiar with the fast paced poker format found on Full Tilt Poker’s “Rush Poker”, Terminal poker uses a similar pooling of players and regularly switching tables after each hand software. The action comes rapidly, eliminating almost all of the typical wait time associated with online poker. Terminal Poker’s software doesn’t require a download and you can “Instant Play” the poker app. No-Limit Hold’em and Pot Limit Omaha cash games are available with similar common player pool environment. mFortune.co.uk offer a real money Texas Hold’em poker app. The UK’s largest mobile casino business’ poker app is accessible by 99% of all Android mobile phones and tablets. Table options include heads-up poker or table that run up to 8 players when full. Stakes available are £0.10/0.20, £0.50/1, or £2/4. One can practice by playing for free with available play chips. Very few country restrictions exist. At present, tournament and the ability to multi-table have not been introduced. For French poker players, Winamax has an Android compatible real money app. Winamax.fr is endorsed by Patrick Bruel, and is currently the largest French poker site in terms of cash-games, at least according to PokerScout.com monthly cash game average numbers. The second largest poker room operating in the French Market is also leading the pack in terms of compatibility. Winamax is indeed Ubuntu compatible and runs on most mobile phones. The brand also has specific software for Android based Tablets. As such, Winamax is great brand to choose if you’re looking to play Texas Hold’em in France. 888 poker just launched a Beta version of their new mobile client. They are currently inviting players to dog food the product, which currently has many limitations, from both a functionality and graphical rendering standpoint. However, real money table games are available, including sit and gos at certain stakes. Although the software is much less mature than Bwin.com, players should seriously consider 888 as a viable platform to partake in mobile gaming. Pokerstars launched its first mobile client in the United Kingdom, across most iOS and Android powered devices, and it’s been a resounding success. The app shares most of the functionality of the full PC client, and is strongly recommended for poker aficonados. The Full Tilt Poker app that featured their popular Rush game was a victim of Android policies and ultimately the licensing shutdown as an after affect of Black Friday. With the relaunch of the site under new ownership and settlement of charges, it is likely that the Rush Poker App for Android will be resurrected later in 2012.